November 20 , by Stacie Hooder. There was a girl with lots of jewelry. She needed a great place to keep it safe and easy to find. With a little magic craftiness Mom created a castle for all the princess’s treasures. 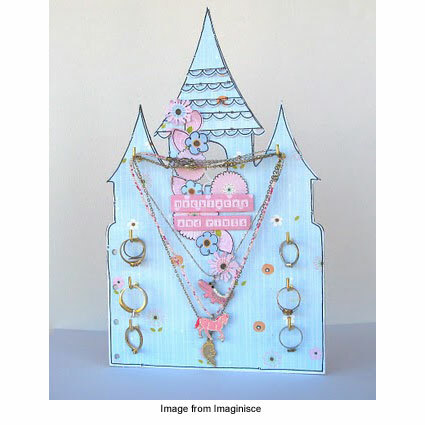 Take a look at the free tutorial for how to make your own fairytale castle jewelry keeper! This would be a great project to make with your daughter or to give as a gift. So unbelievably cute!!! And easy to do. Just finished making them for my two neices they will love them so much. In the top tower thing i painted a window with a smiling princess. Very cute idea. Hey, nearly all my Chritmas gift ideas are sorted thanks to this site!